Dr. Goverman received a Bachelor’s degree in Chemistry from Brandeis University. She received a Ph.D. in Biological Chemistry from the University of California, Los Angeles in 1981. A postdoctoral fellowship at UCLA was followed by additional training at the California Institute of Technology. 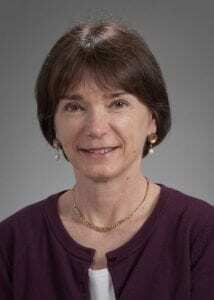 A member of the Department of Molecular Biotechnology when it was founded at the University of Washington in 1992, Dr. Goverman joined the Department of Immunology in 1994. The Goverman Lab’s research focuses on furthering our understanding of the pathogenesis of multiple sclerosis and identifying potential points of therapeutic intervention. Our primary area of interest is delineating mechanisms that lead to the development of multiple sclerosis. Multiple sclerosis is believed to be an autoimmune disease in which self-reactive T cells that recognize myelin proteins escape normal mechanisms of immune tolerance and become activated, causing inflammation and destruction of myelin in the central nervous system (CNS). A large part of our work employs animal models of this disease in order to investigate immune system function within the central nervous system that is not accessible for study in humans. Using animal models, we study the mechanisms that normally maintain immune tolerance to myelin proteins, the triggers that break this tolerance, the characteristics of T cells that mediate the disease and the effector mechanisms that ultimately cause tissue damage. We have developed a number of new animal models using T cell receptor transgenic mice that express T cell receptors from both CD4+ or CD8+ T cells that recognize different myelin proteins. These models recapitulate different aspects of the complex pathology seen in MS patients, and have allowed us to discover novel mechanisms of maintaining tolerance and causing CNS tissue damage. Using these tools, we are investigating how CD4+ and CD8+ T cells and B cells simultaneously contribute to autoimmunity in the CNS. We are defining the parameters that govern T cell trafficking in the CNS, the effector mechanisms that propagate disease and how inflammatory responses are regulated in different microenvironments in the CNS. Our laboratory also uses samples from patients with multiple sclerosis to define the properties of T cells associated with disease. We focus on defining different in pathogenic pathways in multiple sclerosis with the goal of identifying possible points of therapeutic intervention. Simmons SB, Pierson ER, Lee SY, Goverman JM. 2013. Modeling the heterogeneity of multiple sclerosis in animals. Trends Immunol. Aug;34(8):410-22. Lee SY and Goverman JM. 2013. The influence of T cell Ig mucin-3 signaling on central nervous system autoimmune disease is determined by the effector function of the pathogenic T cells. J Immunol. May 15;190(10):4991-9. Ji Q, Castelli L and Goverman JM. 2013. MHC class I-restricted myelin epitopes are cross-presented by Tip-DCs that promote determinant spreading to CD8⁺ T cells. Nat Immunol. Mar;14(3):254-61. Pierson E, Simmons SB, Castelli L and Goverman JM. 2012. Mechanisms regulating regional localization of inflammation during CNS autoimmunity. Immunol Rev. Jul;248(1):205-15. Ji Q, Perchellet A and Goverman JM. 2010. Viral infection triggers central nervous system autoimmunity via activation of CD8+ T cells expressing dual TCRs. Nat Immunol. Jul;11(7):628-34.